They can’t hold on to their tools! Hot Water loos will allow your construction site workers to ensure they have warm water when washing their hands. Not only keeping their hand warm in the winter months but also ensure the highest possible cleanliness at all times. As the temperatures fall over the winter months, be good to your guys and hire a fully HSE compliant hot water loos, with a free weekly service from Site Equip. We can supply these hot water loos in 110v or 240v versions, with a HSE compliant sink, allowing you to wash your hands up to your elbow as per their requirements. The only requirement you would need to have these hot water loos on site is an electrical supply, either 110v or 240v or even an RCD lead to convert the power to be able to use. The hot water loos comprise of a chemical recirculating toilet, hot water tap, large sink, soap and hand towels. The price of the hire cost effectively includes a free weekly service! Which our service operatives will attend your site once a week, clean, empty and replenish with consumables. Site Equip can deliver these hot water loos across the South of England from our depots in Hampshire and Kent. Covering; Dorset, Wiltshire, Middlesex, Hampshire, Surrey, Sussex, London, Berkshire, Essex and Kent. With next and same day delivery available to your construction site. 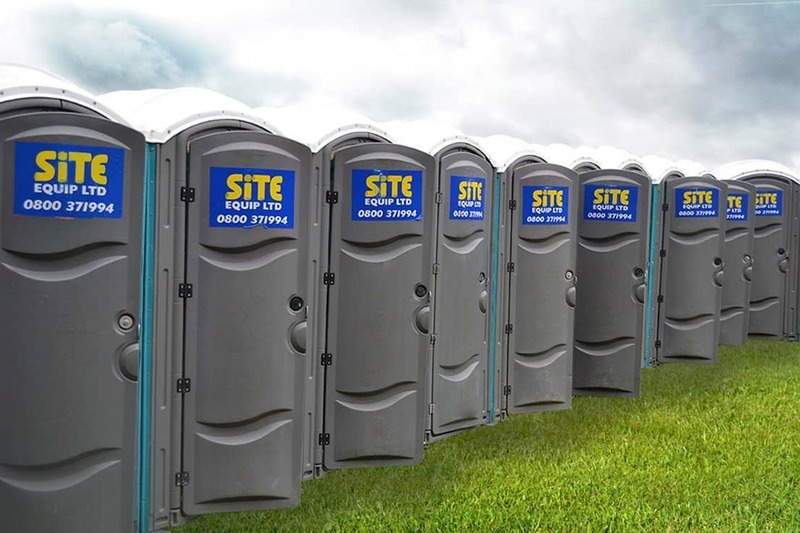 Site Equip also offer a range of credit facilities to ensure you can receive your hot water loos in time for your project start date, in a cost effective manner. Alternatively you don’t need an account to order your toilet today! If you would like to order any hot water loos call our friendly construction team on 01256 384 134 for enquire for your quote today!